Ken Rawlins Answers Your Questions! Learn more about this IFBB Professional Athlete to better understand his everyday lifestyle. He shares with you his tips and tricks about fitness and exercise. From how he first got started to where he is now, Ken Rawlins reveals his diet, cardio program, weight lifting routine and all of his favorite supplements. Read about his proudest achievement, what motivates Ken and discover what his future will hold in this latest questionnaire. With only 8 weeks out from his first NPC 'Men's Physique' competition in New Jersey, Keith contacted Ken in need of help, assistance and additional guidance before he took the stage. Not knowing what to expect, Ken led him with his experience as an IFBB Professional to a 3rd place finish that qualified him for Nationals after providing his client with step-by-step instruction. Gretchen Rossi shares with Star Magazine her secrets to maintaining her hot Spring beach body. Next to Jennifer Aniston, Beyonce, Kendra Wilkinson, Kourtney Kardashian and Penelope Cruz, Ken's client from The Real Housewives of Orange County has been published and selected in the May 6th, 2013 issue to reveal her tips and tricks to health and fitness. "Thanks again for everything," he said. "Ken, you completely changed my life!" Meet David! 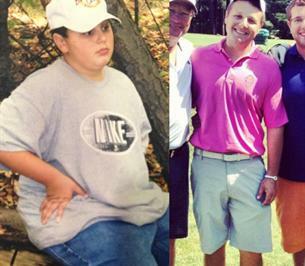 Originally from Cleveland, Ohio, David lost OVER 75 pounds with the help and assistance of Ken C. Rawlins. Given guidance, direction and step-by-step instruction, Ken helped David with his eating habits, grocery shopping and exercise routine. David lived with Ken for nearly 9 months. He is now newly married, living a happier, much healthier lifestyle. Revealing his workout plans, cardio programs and diet, Ken shares with you his experience in and out of the gym. Providing his supplementation suggestions and competition preparation, he explains in the interview what keeps him motivated. The greatest achievements Ken has accomplished and the hobbies he has, have been told. His words of wisdom and all future plans in the fitness industry have been answered. Up against nearly 200 total 'Men's Physique' competitors, Ken was awarded his IFBB (International Federation of BodyBuilders) Pro status after his competition at Nationals in Atlanta, GA on November 10th, 2012. He was one of twelve athletes in his division to turn professional. New York-based photographer Mike Ruiz is best known for his high-impact, surreal brand of celebrity and fashion photography and film work. 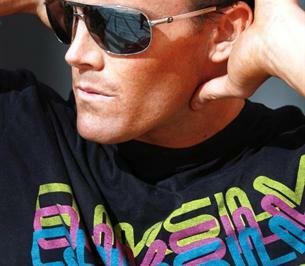 A former model himself, Mike is an actor, spokesperson, director and world-renowned photographer. He has worked with everyone from Betty White, Lindsey Lohan, Paris Hilton, Kim Kardashian, The Jonas Brothers and Zac Efron, just to name a few. 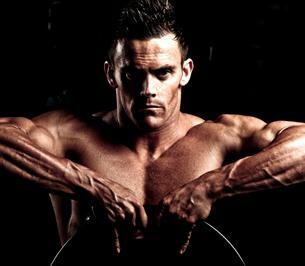 Revealing his tips and tricks to fitness and exercise, Ken speaks to TheAbPro.com about his goals, philosophy, achievements and experience both in and out of the gym. Client Spotlight: Gretchen Rossi from 'The Real Housewives of O.C.' 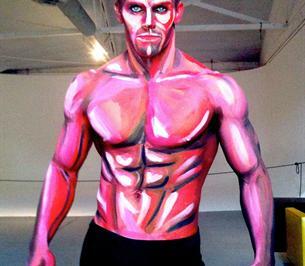 Ranks High on Celebuzz.com 101 Hot Body Countdown! She works hard for what she has, and the world has noticed. Next to Rihanna, JLo and Jessica Biel, Ken's client Gretchen Rossi ranked #25 on Celebuzz’s 101 Hot Bodies! In this question and answer interview, Gretchen shares some of her fitness tips and tricks with her trainer, Ken Rawlins and reveals her everyday lifestyle secrets. 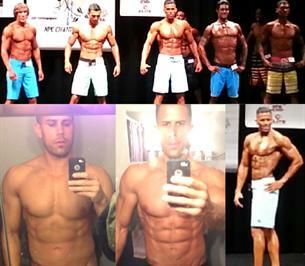 On May 19, 2012, Ken competed in the NPC Jr. USA Bodybuilding Championship in 'Men's Physique.' With over 450 total athletes, the competition was at the Performing Arts Center in North Charleston, SC. There were 89 total 'Men's Physique' competitors, all competing for their 'pro-card.' Each class was divided into three separate height categories. Ken was one of 39 athletes in his height class (between 5'8" 1/4 - 5'11"). Despite being the 3rd shortest competitor in 'Class B,' Ken placed 3rd in his height class. Not bad for his first national show! Ken was honored to be selected as Muscle Prodigy's 'Prodigy-of-the-Month' in April, 2012. 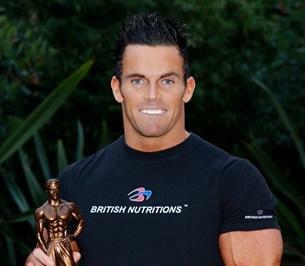 In this interview, he discusses when he was first introduced to fitness, the challenges and obstacles he has had to overcome, his inspirational role model Greg Plitt, his life experience in Australia, and his 'Men's Physique' competitions that have helped redefine his future. Ken competed in 'Men's Physique' (NPC Western Regional, Mesa, AZ) and placed second in his height class. You may be asking yourself, "What is Men's Physique?" The National Physique Committee (NPC) added this new fitness competition category for 2011 – it features men who can successfully showcase their fit, defined, and muscled bodies, as opposed to the extreme muscularity and shred historically associated with mainstream bodybuilding. Can't Live Without Weights, Music and FOOD!